Today King Felipe VI and Queen Letizia of Spain presided over the annual meeting of Princess of Asturias Foundation meeting at the Royal Palace of El Pardo in Madrid. 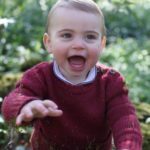 Prince/Princess of Asturias is the formal title for heir of Spanish throne. King and Queen usually preside over the foundation events on the behalf of their elder daughter Princess Leonor who is the next heir to the throne. The Princess of Asturias Foundation was established on September 24, 1980 in Oviedo as Prince of Asturias Foundation in an act chaired by His Majesty the King Felipe (the then Prince of Asturias), who was accompanied by Their Majesties the King and Queen Don Juan Carlos and Queen Sofia. 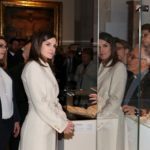 Its main objectives are to consolidate the existing links between the Principality and the Princess of Asturias, and to contribute to the exaltation and promotion of all scientific, cultural and humanistic values ​​that are universal heritage. After the proclamation of Don Felipe as King of Spain on June 19, 2014, Her Royal Highness the Princess of Asturias, holds the Presidency of Honor. Since 1981, every year the foundation presents awards in the field of the Science, technology, cultural, social and human work carried out by people, work teams or institutions in the international field, in the following eight categories: Communication and Humanities, Social Sciences, Arts, Letters, Scientific and Technical Research, International Cooperation, Concord and Sports. As a totally private and non-profit organization, the institution is nourished by the income from its patrimony and from the grants and donations that each year contributed by both the members of its patronages, as well as persons or organizations that collaborate regularly or circumstantially with it. 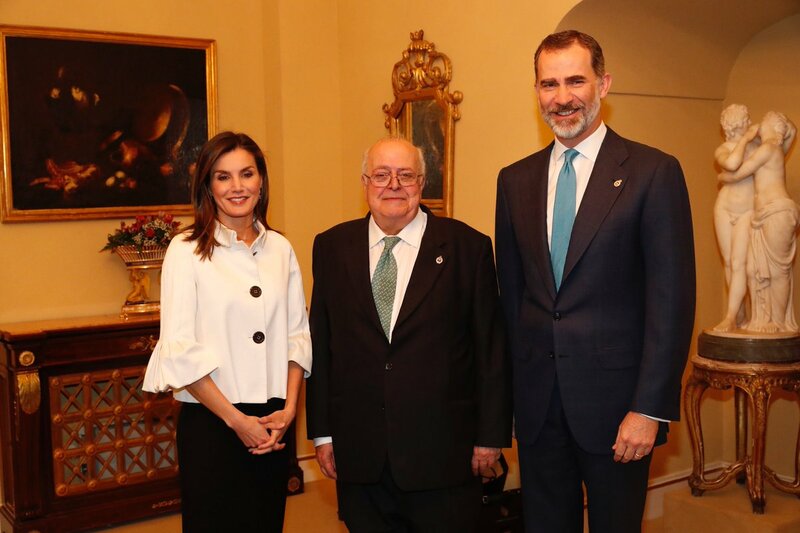 Felipe and Letizia welcomed the members of the Patronages of the Princess of Asturias Foundation. 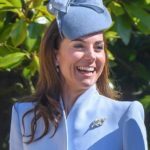 The Board of the Princess of Asturias Foundation, which is composed of reknown personalities, is responsible for establishing the activities to be developed, approve budgets, set performance criteria, etc. In addition, the institution has a Board of advisory and honorary nature, the Board of Trustees of Asturias who all collectively take part in the working of the foundation. During the meeting the annual report of the work developed over the past year, as well as the financial and patrimonial situation of the Foundation were discussed while welcoming the new patrons to the foundation. After the meeting, His Majesty also presented the Grand Cross of the Royal Order of Isabel la Católica to the former President of the foundation Matías Rodríguez Inciarte for his services. 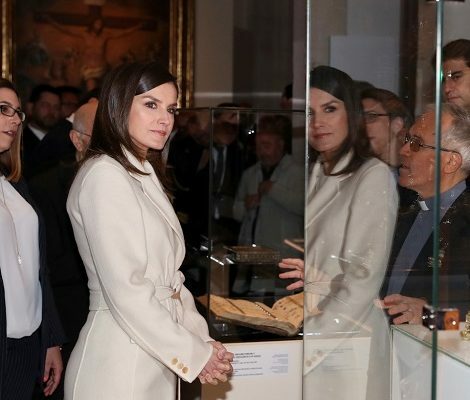 Today Queen Letizia wore a white jacket with black big buttons from Felipe Varela that she debuted in 2008 for a meeting with Prince Naruhito of Japan. 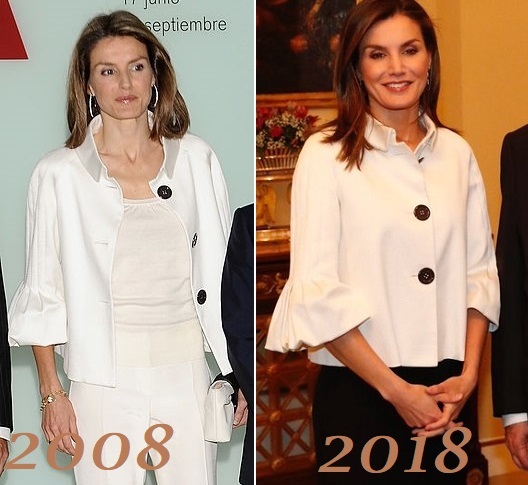 Letizia paired the almost vintage jacket with a plain black skirt and silver round earrings. The label of the skirt and earrings is still to be found.